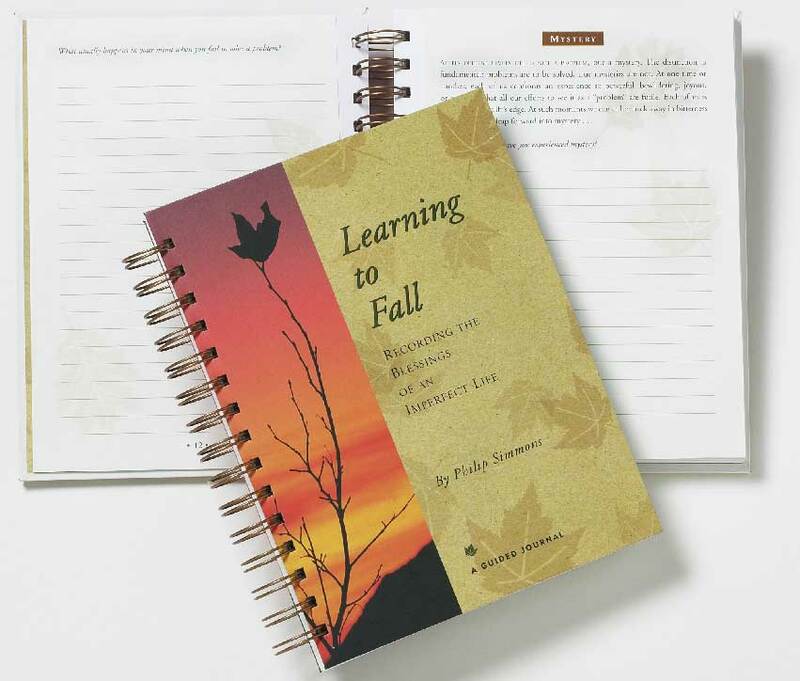 This journal, based on the book: Learning to Fall by Philip Simmons, is designed to guide readers in their quest for self-knowledge, wisdom, and enlightenment. It presents topics of universal concern including, Imperfection, Acceptance, Emptiness, and Eternal Life. Lined pages offer readers the opportunity to answer the probing questions that Simmons poses, and so perfect their skills in the art of living. This journal invites you to reflect upon personal and spiritual issues we all must face during our lives. By learning to fall, I mean learning to live richly in the face of the losses we inevitably suffer as human beings. Since being diagnosed with Lou Gehrig's disease nine years ago, I've certainly suffered my share of losses, but I've also been given an extraordinary chance to practice consciously the art of living and dying. Some of the fruits of that practice are offered here in the form of passages and questions that prompt you to explore, as I have, the harrowing business of rescuing joy from heartbreak."